This spring I am offering a series of three classes covering Lightroom and Photoshop in Walkerville on May 1, 8 and 15, 2019 from 6:30 PM to 9:00 PM each evening. The class size is limited to only five participants. Registration is on a first-come first-served basis so register today. The upper left photo is what the camera saved as a JPEG image. 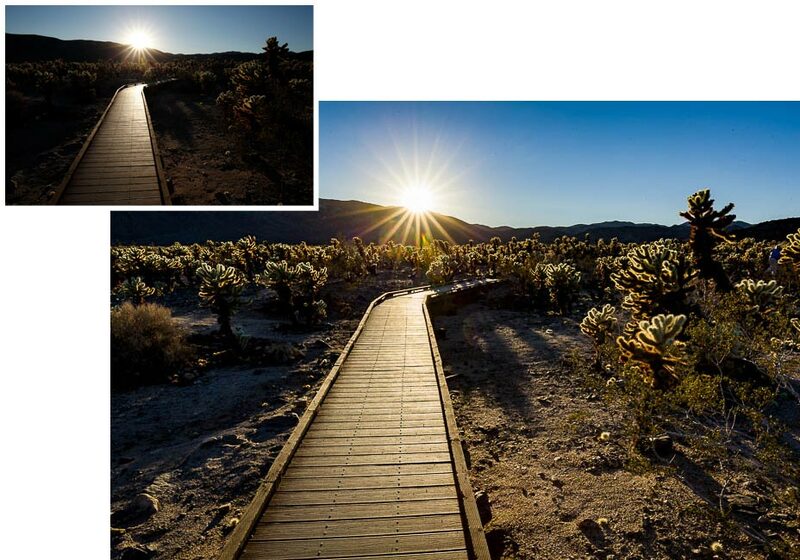 On the right is what the scene really looked like having been processed in Lightroom and Photoshop. Learn how to create beautiful photographs – not just accept what your camera gives you. Click here for more details. Thanks for visiting my website. To see more of my fine art photography visit the Gallery and browse the images. I am able to ship world-wide so when you find an image you want to buy, click on the "Buy Me" button and we will start the process. My world-wide multi-media and presentations. I create imagery and words to tell my clients' stories. So here you will find information about my commercial photography, video and presentation creation. I have been creating photographs and presentations in the Windsor/Essex County area for over 40 years. My work is in private collections around the world and in Canada's National Archives and the Parliamentary Collection.